Unprepossessing, dark-haired actor who was stomachchurningly memorable as a steadily decomposing lycanthrope victim in the horror comedy An American Werewolf in London (1981); since then, his on-screen persona has been that of an irritating, selfabsorbed yuppie. Dunne has been involved in the production end of moviemaking since 1979, when he coproduced and appeared in Head Over Heels (His partner in production is former actress Amy Robinson; the two sometimes work in tandem with Animal House ROTC commander Mark Metcalf.) Generally working on smaller, independent films, Dunne and colleagues produced Scorsese's After Hours (1985, a wellreceived yuppie black comedy reminiscent of Alice in Wonderland in which Dunne played the lead), and they have recently worked on bigger studio productions, including the Susan Sarandon starrer White Palace (1990) and the Richard DreyfussHolly Hunter romantic comedy Once Around (1991; Dunne played a predictably obnoxious boyfriend). 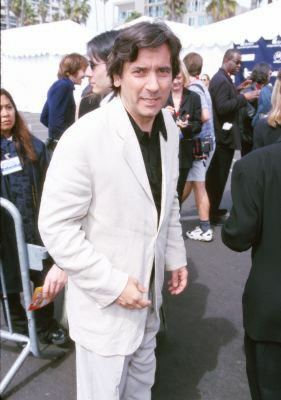 He had a small but important role in My Girl (1991) and took the lead in Search and Destroy (1995). Formerly married to model/actress Carey Lowell.